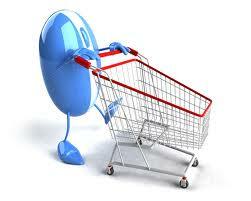 Food shopping is just another one of the household chores, so we generally now shop online! The only problem is that it’s so easy to forget things (when your flatmate isn’t writing a list!!). In “real life” shopping as you walk round the shop you see each area & remember what you need…. so why can’t online shopping be like a computer game where your actually on the shop floor and you can navigate round! Wonder when supermarkets will introduce this functionality, they would certainly make more money out of us!